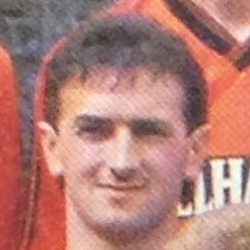 Ian signed from Forfar Athletic. Prior to that, he had been with Celtic. After a short run in the side he was out through injury and thereafter was unable to fully regain his place. In November 1988 he moved Airdrieonians. Ian was born on this date in Perth. We progressed to a tie at Starks Park in fairly comfortable fashion. Partick posed little threat up front, but it wasn't until the closing stages that the Thistle defence began to creak. The first half set the pattern, as e made regular forays towards Brough in the visitor's goal. Brough was one of the main stumbling blocks. He touched a shot from lain Ferguson on to the bar after 21 minutes. Ten minutes later he blocked a Paul Sturrock shot with his feet and seconds later was at full stretch to save from Dave Narey. The half ended when the Thistle 'keeper blocked a Maurice Malpas volley. After the frustration of the European tie with Fioriana, there was no such agony for United supporters here as we dictated play from the start and got the tonic of a goal from which there was no way back for the Accies. Conditions were miserable at Douglas Park with heavy rain and a strong wind blowing down the park, but there was early rejoicing for the sizeable United travelling support when following a move down the left Allan Preston fired in a first time return ball which the Accies defence failed to clear and Raphael Meade cut the ball back for Mixu Paatelainen to pick his spot after just 88 seconds play. Hamilton retaliated five minutes later with a 30 yard wind assisted Jamieson shot which Billy Thomson saved comfortably. A MacDonald cross flashed across the box a few minutes later but Scott failed to make contact. But most of the action was coming at the other end and a first time shot by Mixu Paatelainen looked a certain scorer until it was blocked. Gordon McLeod was unlucky not to score when first the keeper then a defender blocked his efforts, after he'd ran clear of the Accies defence. In the 37th minute an angled cross from Allan Preston was run into the net by Raphael Meade as we deservedly increased our lead. Ferguson then made a great save from a Raphael Meade cross which had been deflected by Kerr. Before half-time McKee scooped the ball past from 10 yards. Failure to convert our chances was undoubtedly the root cause of us dropping a point to a stuffy Motherwell side which earned its fifth consecutive draw. Evidence of our problem cropped up three times in the first twenty two minutes. After five minutes Jim McInally swung a high cross to the far post and although Kevin Gallacher's header was on target, Duncan made a tremendous save. The Motherwell 'keeper then thwarted John Clark whose powerful grounder from a Kevin Gallacher cut-back looked a certain goal. 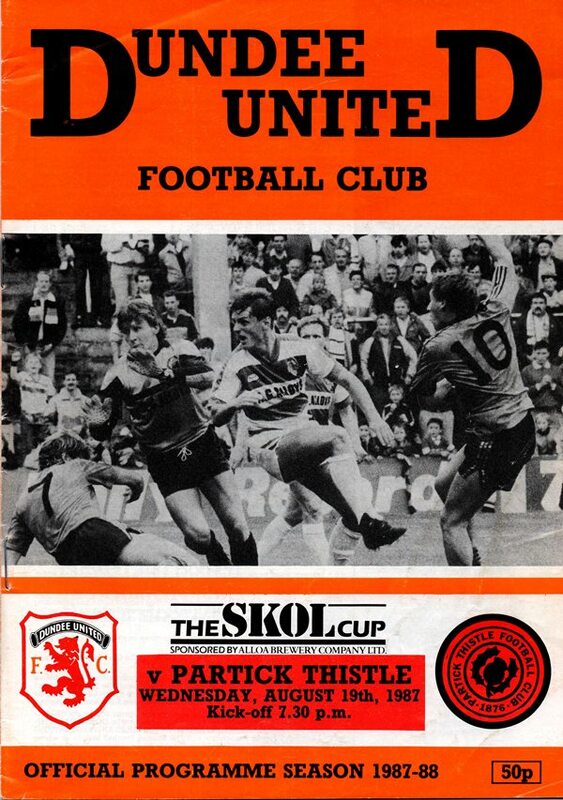 A couple of minutes later Ian McPhee's free-kick was headed goalwards by Mixu Paatelainen, but Duncan pushed the ball round the post for a corner. After repelling our early pressure Motherwell stepped up their attacking efforts and Cowan shot wide before a Kirk volley from 25 yards struck the outside of the post. Four minutes before half-time a Paul Kinnaird chip was plucked out of the air by Billy Thomson as Motherwell finished the half on top.